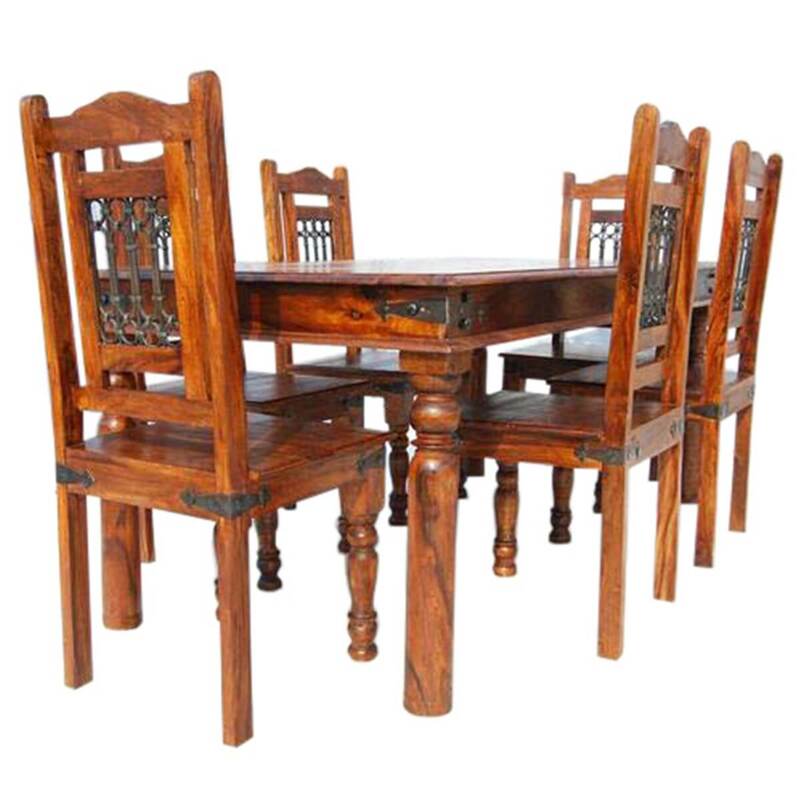 Let independence ring with the Philadelphia Dining Room Table and Chair Set w Wrought Iron Grill Work. 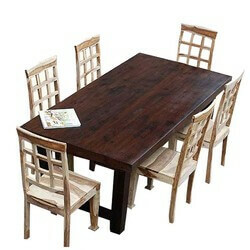 This classic blending of wrought iron and oak stained Rosewood is an elegant statement of sophistication. 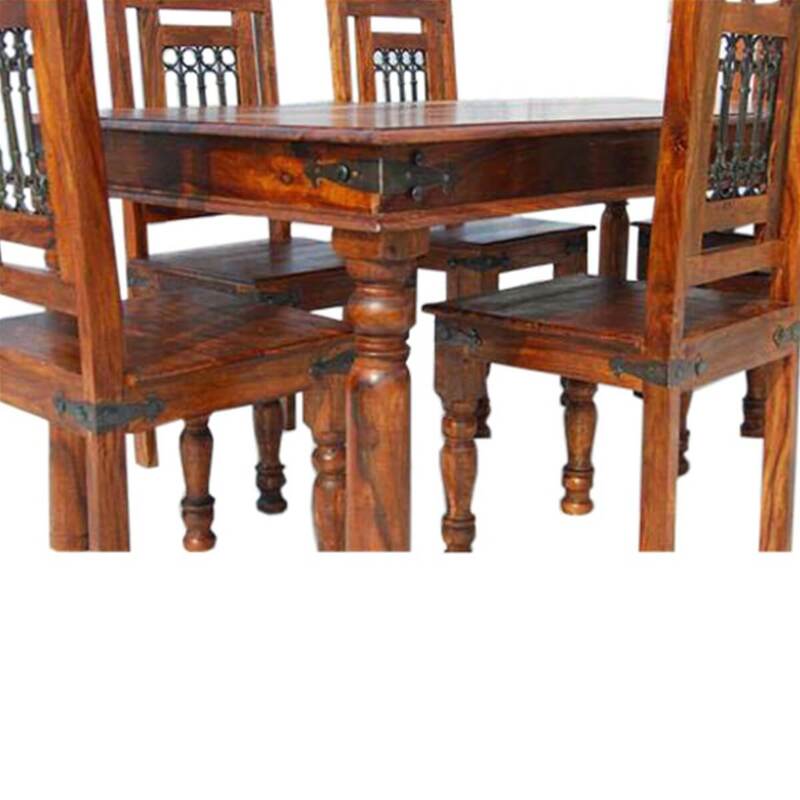 Attention to detail is evident throughout this quality furniture set. 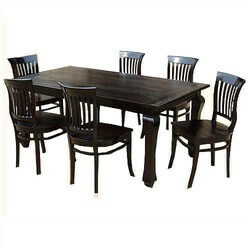 • Black wrought iron grill work on each dining chair is set in by hand. 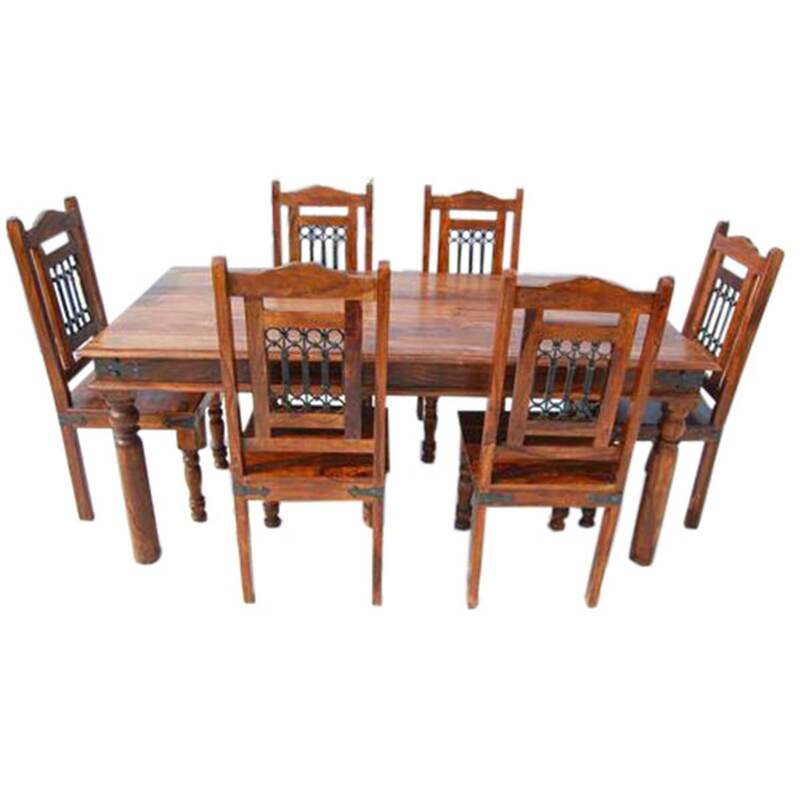 • Solid oak stained table top features dramatic Solid Wood grain patterns. 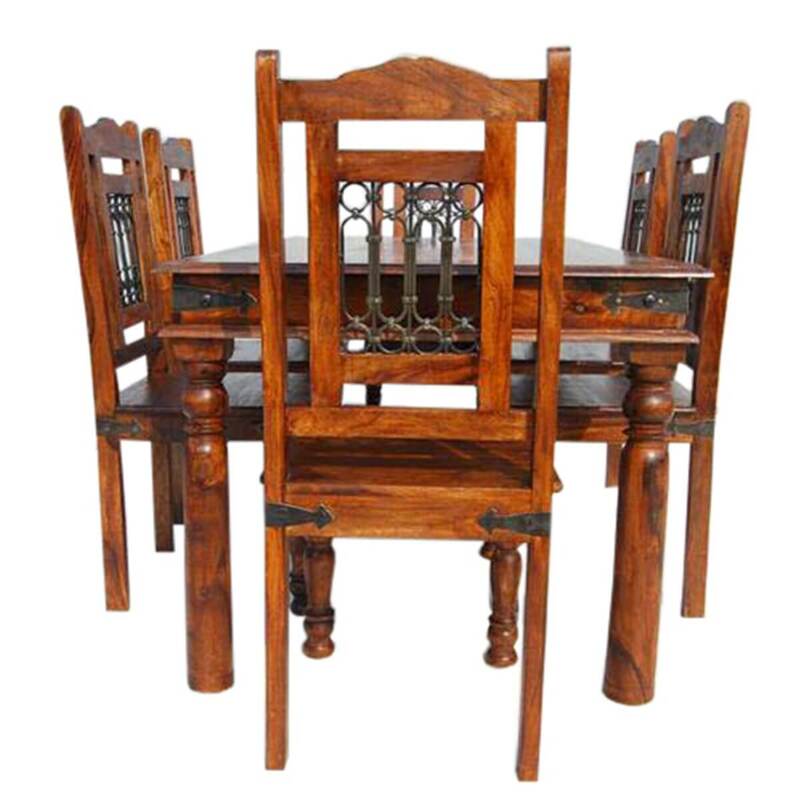 • High back dining chairs feature wide seats which are designed for comfort. 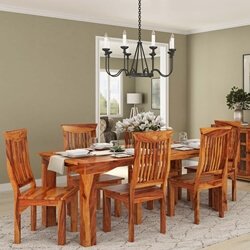 • Classic column table legs blend with the country column front dining chair legs. 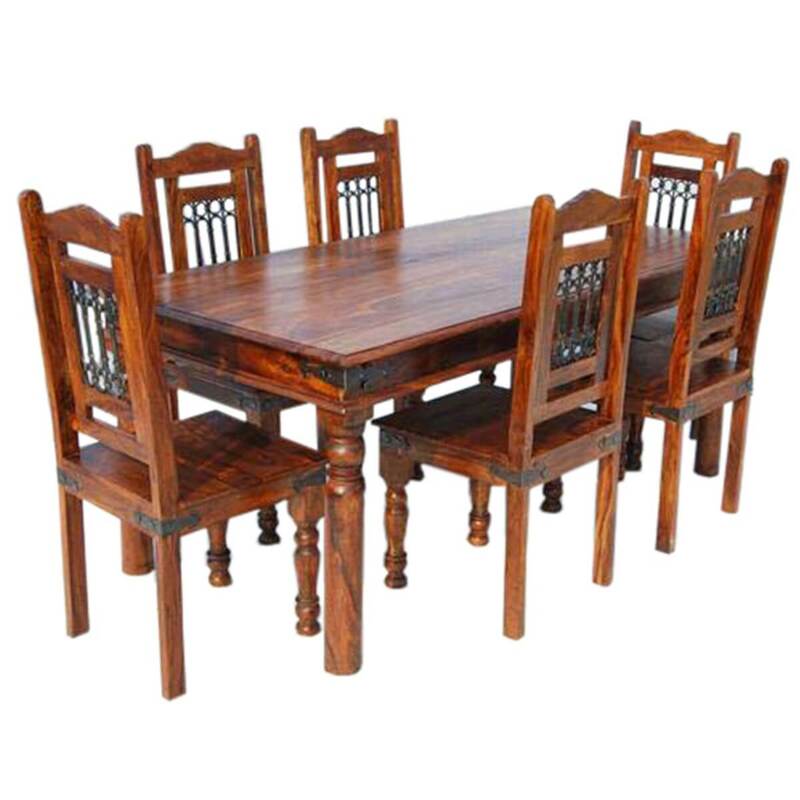 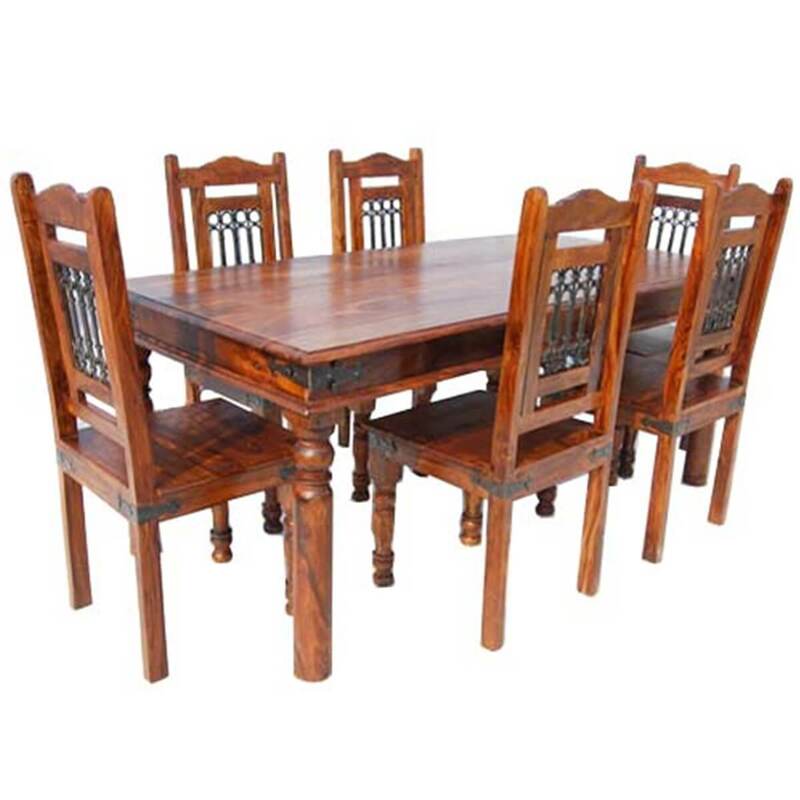 This handmade dining table and chair set is heirloom quality. 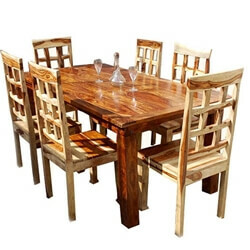 It is properly treated and seasoned for a long-lasting finish.